Mariehamn passenger and car ferry ticket prices, timetables, ticket reservations and information for ferries sailing from Mariehamn to Helsinki, Kapellskar, Stockholm, Tallinn and Turku. Compare all available Mariehamn ferry ticket prices in real time and book the cheapest available Mariehamn car and passenger ferry tickets sailing to and from Mariehamn, Helsinki, Kapellskar, Stockholm, Tallinn and Turku with Tallink Silja Ferries or Viking Line ferries online with instant confirmation. 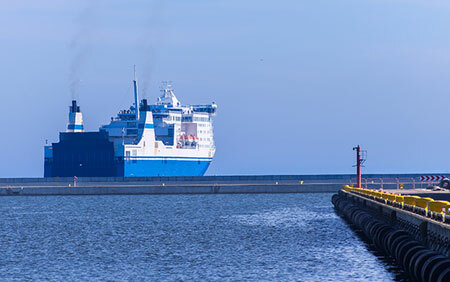 Book Mariehamn Ferry Tickets with Tallink Silja Ferries or Viking Line for ferries sailing from Mariehamn to Helsinki, Kapellskar, Stockholm, Tallinn and Turku online in advance to enjoy the cheapest available ferry ticket price. The price you see is the price you pay. There are no hidden extras or surprises such as added fuel surcharges or booking fees and we do not charge you anything extra for paying with a Visa Electron card. The price we quote you for your selected Mariehamn passenger or car ferry ticket, onboard accommodation and vehicle type is all you will pay, and that's a promise. To obtain a Mariehamn ferry ticket price and book your ferry ticket securely online please use the real time ferry booking form on the left. You are also able to add a hotel at your destination, or anywhere else, to your ferry ticket when completing your ferry ticket reservation. Mariehamn is a large small town with its 11.000 inhabitants. The town centre has much to offer in a small space; you are always near shopping, restaurants, culture and experiences. For a town the size of Mariehamn, the service and supply of restaurants, hotels, bars, museums and shops, is great. Mariehamn is also called “the town of the thousand Linden trees”, refering to the Linden trees which line an avenue across town. Situated on the main island of the Ålands, roughly half way between the Finnish mainland and Sweden, Mariehamn has coasts on both sides, about twenty minutes walk apart but a long way by sea right round the South of the island. The ferry quays are on the west and near them is the Nautical Museum and the Museum Ship, Pommern, a now unique four-master made in Clydeside and formerly used on the Australian wheat run. Between the coasts lies the centre of Mariehamn with many green spaces and tree-lined roads reminiscent of France. On the east side there is a fine marina, the Åland Assembly building and the Åland Museum. Town transport is limited but free and the five island routes, not free, start near the library. Two of these go to the ports of inter-island ferries that are free to pedestrians. To the South on the east side are the Town Hall and a park merging into open country. It's barely possible to separate the town from the province in your imagination and one favourite lies on the bus route 4 at Kastelholm where there is not only a fine old castle but a free open air museum, a prison museum and a walk to the old church of Sund. The partcularly scenic island of Køkar [pronounced Chirke with the e very soft] is better used for a night en route between Mariehamn and Turku, Finland's second city. In Mariehamn itself, favourite sights are the Pommern, mentioned already and the elevated park near it with a panoramic view and the west coast going south. The spring flowers on the last named coast path were fabulous, cowslip, the island flower, taking pride of place but with shows of violets, wood anemones, wild geranium and a host of others. Apparently later in the season the orchids are splendid. The cleanliness of the town and the informality of its attractions for children were also pretty impressive, particularly a 'pirate ship' that seemed to have a child swarm over it. There are so many sights that it is difficult to select particular ones. The old Post House and the village at Eckero are impressive. We particularly liked the church and its immediate area in Kokar. Viking Line and Silja Line ships travelling between Finland (Helsinki, Turku) (5 h to Turku and 8 h to Helsinki) and Sweden (Stockholm) (6 h) dock briefly at Mariehamn or Långnäs (in the night) for tax reasons. If the stop is at Långnäs, there is usually a bus or taxi connection to Mariehamn, costing as much as the boat ticket. Tallink makes a stopover in Mariehamn on the Tallinn - Stockholm route, though it is not permitted to use this route to go from Mariehamn to Stockholm. Birka Cruises runs daily from Stockholm, using their own terminal in the Western port, facing the Adlon hotel and pizza restaurant. The Stockholm boat is extremely slow and should be avoided if travelling to/from Stockholm. Instead, you should take the line 676 bus from the Stockholm Eastern Station to Norrtälje, then 631/631X to Kapellskär, and from there a Viking Line ferry to Mariehamn. Viking, Silja and Tallink all use the same terminal in the Western port. The terminal is open 24 h. Tickets can be bought when a boat is due to leave. Facilities are limited. There are several lockers, a money exchange machine (EUR-SEK), toilets and a customs office. Just outside, there is a café and a small kebab restaurant. Best Price Guarantee - We always offer you our lowest available Tallink Silja Ferries or Viking Line passenger and car ferries ticket price to and from Mariehamn. There are no hidden extras or surprises such as added fuel surcharges or booking fees and we also we do not charge you anything extra for paying with a Visa Electron card. The price we quote for your selected Mariehamn ferry ticket, onboard accommodation and vehicle type is all you will pay, and that's a promise! In the unlikely event you find the same all inclusive Mariehamn ferry ticket cheaper in the brochure of any other tour operator we promise that we will do our best to beat that price or offer you the choice of requesting a refund. To book Mariehamn car and passenger ferry tickets please click here. At ferryto.com you are able to obtain live Mariehamn ferry ticket prices, check availability and book car and passenger ferry tickets to and from Mariehamn at our lowest available ticket price. Ferryto.com is part of the world's largest online ferry ticket distribution network providing the ability to book over 80 major European ferry operators including to Mariehamn and to over 1,200 other ferry routes throughout the UK, France, Spain, Ireland, Holland, Eastern Europe, the Mediterranean, the Baltic and North Africa.